Highest rates in Bundibugyo, in the west. 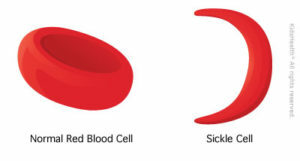 Sickling Mechanism De-oxygenation of Hgb S results in polymers which precipitate in RBCs as long, rigid fibers resulting into RBCs taking on a sickle shape. • Prevent painful crises — Hydroxyurea reduces frequency of painful crises and Improves quality of life. Similar Content : Cause of a headache based on location of pain.